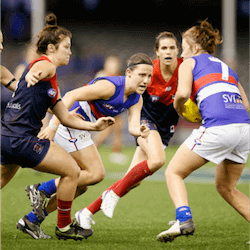 It was dismissed by many as a trivial, perhaps even patronising curtain raiser to the 2017 Aussie Rules action, but as New Zealand online sports betting fans have discovered, the AFL Women’s season has turned into a popular event worth a punt or two. Crowds for Round 2 didn’t quite match the unexpected gates across Australia for the debut week of this tournament, but between 6,900 and 10,000 fans still turned up at each of the four venues last weekend. The next five weeks should see the AFL Women’s season established as a respectable precursor to the AFL Toyota Premiership. After two away wins, one in the pouring rain against Melbourne at Casey Fields and a second-round 36-23 victory against Adelaide on Sunday, the Brisbane Lions are on track for a Grand Final berth. Their next four matches at home could prove decisive. Carlton and Adelaide also maintained their unbeaten record from the first round, outplaying Greater Western Sydney and the Western Bulldogs respectively. Adelaide’s 48-23 thumping of the Dogs has boosted their likelihood of making the March 25 Grand Final too. Coming back from their first-round defeat by the Lions, Melbourne won their Round 2 clash against Collingwood 44-25. Adelaide, Carlton and Brisbane are currently the top three on the table, with the Bulldogs ahead of Melbourne on points difference. New Zealand punters craving men’s footie action have nothing to worry about, either. 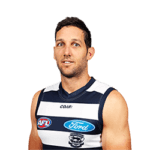 Betting online for the AFL 2017 Toyota Premiership is already open, even though the season only kicks off on March 23. 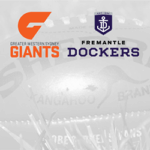 The Greater Western Sydney Giants are the current favourites at A$4.50, but defending champions the Western Bulldogs are close behind them at A$5.50. The Sydney Swans, Geelong Cats, Adelaide Crows and West Coast Eagles are also well supported in early betting. But there is more immediate footie betting available on the AFL pre-season: the JLT Community Series, due to start on February 16. The opening match is the sort of Melbourne derby that should attract plenty of fans to the Etihad Stadium on Thursday night: the Collingwood Magpies versus the Essendon Bombers. Saturday’s matches should provide plenty of thrills too. The Bulldogs host the Melbourne Demons at Whitten Oval, and the Giants have a home game against the Eagles at the NSW’s Narrandera Sport Ground.